How A Little Lab In West Virginia Caught Volkswagen's Big Cheat Arvind Thiruvengadam and colleagues at WVU got excited when they won a grant in 2012 to test emissions on a few diesel cars. He figured the data might result in some papers a few people might read. Diesel car engines like this one in a 2012 Volkswagen Golf are among those that include software that circumvents EPA emissions standards for certain air pollutants. Volkswagen was recently brought to its knees when scientists discovered the company had installed a device in its diesel-powered cars to fool emissions tests. Its stock price tanked, its reputation has been damaged and its CEO resigned on Wednesday. WVU research assistant professor Arvind Thiruvengadam and his colleagues test and experiment on cars and engines. He admits his is not the sexiest lab on campus, but he says he got superexcited when they won a grant in 2012 to test a few diesel cars. "Our happiness was, 'Wow, we are going to be the first guys to test diesel cars on the road,' " he says. "And then after that, when we were getting the data we were like 'OK, we're going to write a lot of journal papers, and we'll be happy if three people read these journal papers.' That's our happiness at that point." The International Council on Clean Transportation is a nonprofit that tries to provide independent science to government agencies that regulate the environment. 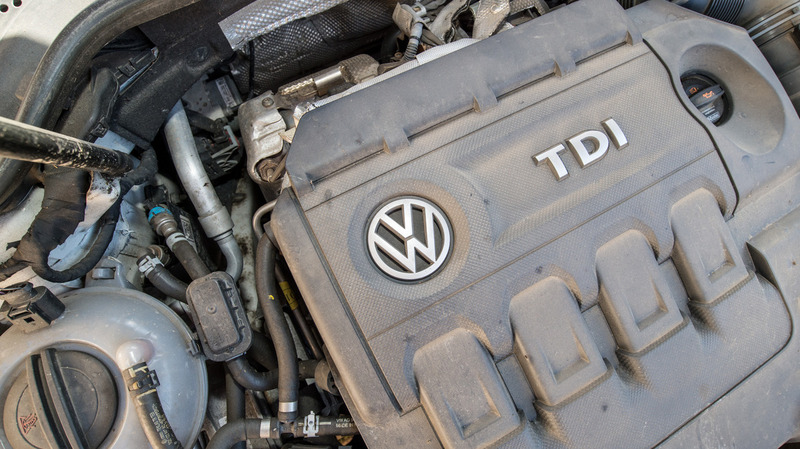 It hired the university to do a standard emissions tests on diesel cars in the U.S. Volkswagen has been hyping diesel cars that are environmentally friendly and fuel efficient. Volkswagen had the boldest claims and the highest sales, but Thiruvengadam tested two VW cars and found that the claims of low emissions never panned out in the real world. In none of their road tests could they get their two Volkswagen cars to meet the claims, even though a BMW they tested did fine. Very early on it was pretty clear to the scientists that something was wrong. He says the team kept double-checking its procedures. "And then, I mean, we did so much testing that we couldn't repeatedly be doing the same mistake again and again," he says. Volkswagen was cheating. That's what everyone in the project began to suspect but wouldn't dare to say out loud. "It's the sort of thing you just don't go around accusing companies of doing unless you're absolutely sure," says John German, with the International Council on Clean Transportation — the group that commissioned the test. German immediately suspected Volkswagen had done something not completely unheard of in the car business: install what's called a defeat device. "The quick definition is something that tells the computer when you're on the official test cycle and when you're not. And when you're not, you change how the emission control system works," he says. German says the deceit doesn't just stop with a programmer writing code. "It's both writing the code, but you also need to do validation. So someone had to take these vehicles out, test them on the standard test cycle, make sure that the emission controls are supposed to be working when they're supposed to be working," he says. German's group turned its data over to the Environmental Protection Agency and the California Air Resources Board. He says things like this start with one little lie or cheat at a time. "You take a little step, you don't get caught. So yeah, you take another little step," he says. "And then maybe you don't even realize how far over the line you are." "I think vindicated is the wrong word. I feel satisfaction that we have contributed to something that will have a major impact on public health," he says. "But vindication implies that we are out to get somebody. And we weren't. We had no idea that this was out there."